Soul River Runs Deep > News Current > SoulRiver > Who is the Star? We rely on perfect weather patterns, the right water temperature, and the least popular day of the week to pursue the passion of hooking in. What is it about chasing a fish that makes some anglers go crazy to the point where we have to just scratch our heads and say “what the hell am I doing?” Often times, the why is better left unanswered. To those who are crazy enough to answer it find that we anglers are exactly that – crazy! 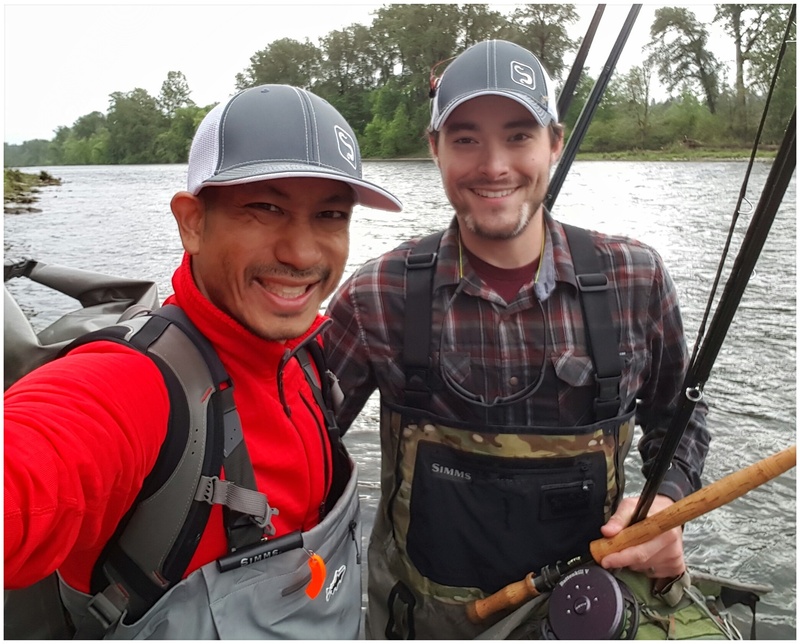 But when we are standing there waist deep in the flowing river current, feeling confident in that we are using the right color pattern of a fly, that we are hyper aware of the theories and the physics of the rod and reel we are using, that we realize we have just entered the true rush of an angler. Perhaps its just another business meeting on the river, another intellectually stimulating conversation had at the lodge or fly fishing club, or a run in with an old fishing buddy that the years of theories that creates yet another layer that makes us that much richer in our angling passion. Who cares really where we get so caught up on the why! And we forget about the relaxation and enjoyment of fishing and why you are drawn to the river. But what if we are able to align ourselves at the right time and right place with the right fly gliding through the river current that happens to have the perfect temperature? What if we wade just a few steps more, cast our line into the right seem of the current and doubt is overridden by the anticipation of a tug? When suddenly your moments of standing strong and grounds in the river bed suddenly introduces that tug and you are driven to dance through the current and work with the massive, elusive specimen of what nature has produced. 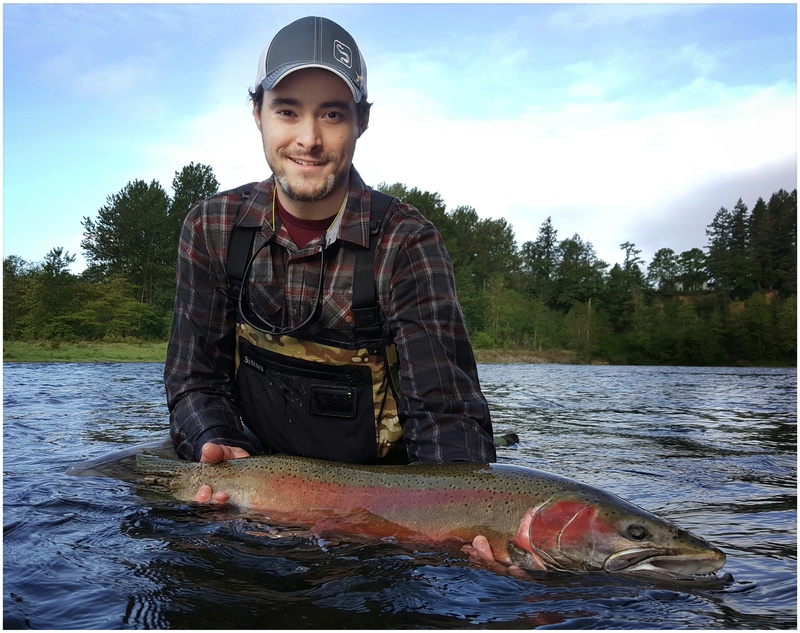 Feeling the power becomes part of the process of resistance measuring you by your will and your strength as you delicately dancing with a steelhead. This happened to my good friend Mathew Dahl. First cast. First breath. First walk. First swing. All this as if the elusive fish was waiting for him to arrive that morning on the river. 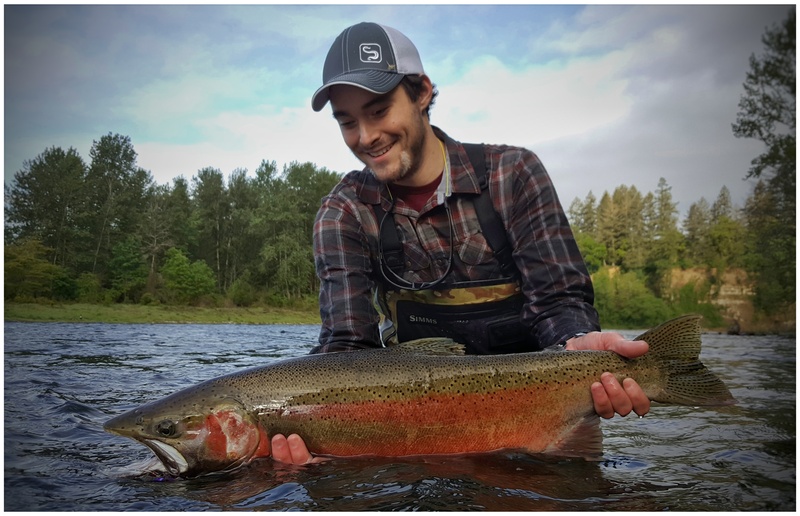 A tick turned into a tug and the tug lead itself into a healing pulse to the soul for Matthew’s soul as he eased in his first encounter with a steelhead – a fish that many anglers seek through the summers and even through the darkest hours of the cold winters just for that one connection to have a tango and a tug of the soul. To some who seek and have gained this opportunity, it has brought anglers to their knees with shakes and a few tears. Matthew captured this opportunity and introduction of a lifetime. Now he actually knows who the star of the show really is.